2013 is fast coming to a close, and with it comes the last chance to vote in this year’s British Poker Awards! Set to take place in March 2014, the British Poker Awards are made up of 17 magnificent categories honouring every facet of the poker industry, whether it be the best individual player, the most impressive tournament league, or even the greatest training website. Nominations have been carefully selected by a dedicated panel of industry experts to ensure that recognition goes to all the best and brightest in the game. The celebrated team includes PokerNews’ Matthew Pitt, the legendary “Voice of Poker” Jesse May, PokerStrategy’s Barry Carter, Lee Davy of Calvin Ayre, UKIPT Media Coordinator Jen Mason, and accomplished editor of Bluff Europe, Philip Conneller. While last year’s man of the moment was high-stakes pro Sam Trickett, taking home three awards for Best Cash Player, Best Tournament Player, and Player of the Year, this year there is no clear front runner. In fact, voting is fierce, and the race is still wide open – so last minute votes could change everything. 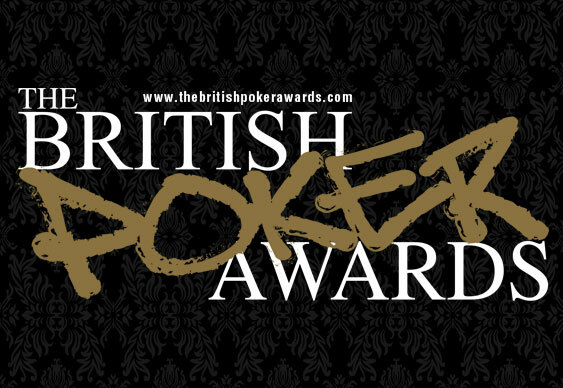 For information on categories and nominations head to www.thebritishpokerawards.com to place your votes now!